Hebei Feixiang Roll Forming Machinery Co.,Ltd was founded in 2007.The registered capital of 4 million yuan.The existing staff of 290 people.Covers an area of 36800 square meters，With two factory and an office，Industry number 11 in the country.Our factory is specializ in manufacturing color steel forming machinery ,C&Z purlin machine,Glazed tile forming machine,steel structural floor panel roll forming machine,sandwich panel roll forming machine,highway guardrail forming machine and other cold rolls forming machines. 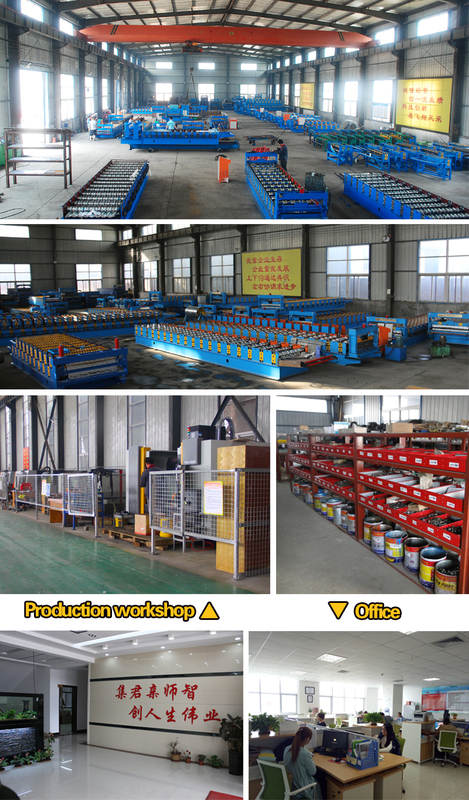 We have various kinds of machinery and production methods to meet our customer’s increasing demand.Our different types of roll forming machine are easy to operate and have high efficiency which have leading position both at home and abroad.Now,our productions have been exported to More than one hundred countries and regions. Our company insists on the service aim:Quality First,Credit First.Credit First.We believe that quality is the lifeblood for enterprise.We will supply satisfied products and after-sale service for every client. Dongguang County Feitian Cold Roll Forming Machinery Co.,Ltd(Branch)was founded in 2012.